If life gives you lemons have a party! This fun slate sign can be hung anywhere. 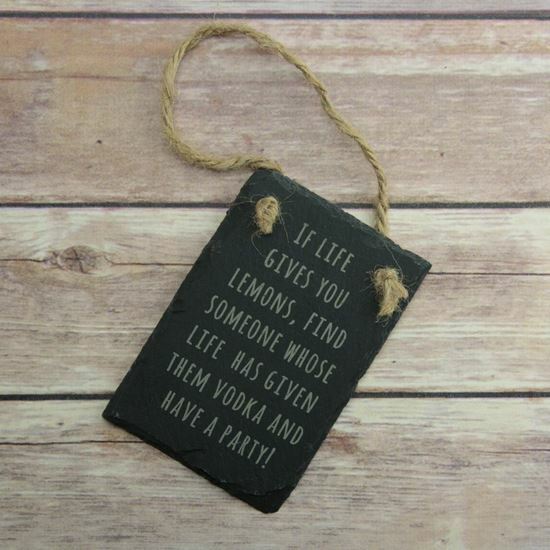 A rustic hanging sign which reads "When life gives you lemons find someone whose life has given them vodka and have a party". Measures 8cm x 12cm so small enough to hang anywhere!